Our Projects « Ritenburg & Associates Ltd.
Ritenburg & Associates Ltd. has practiced in Saskatchewan continuously since January of 1959. 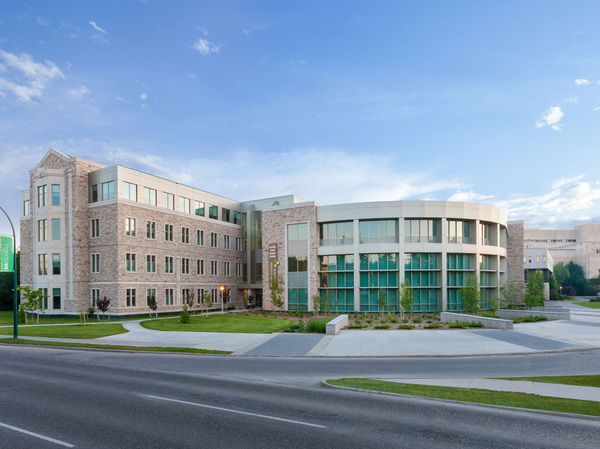 The Health Sciences ‘E Wing’ expansion project involved creating an expansion to the University of Saskatchewan’s Health Sciences building and tying into existing structures and facilities. 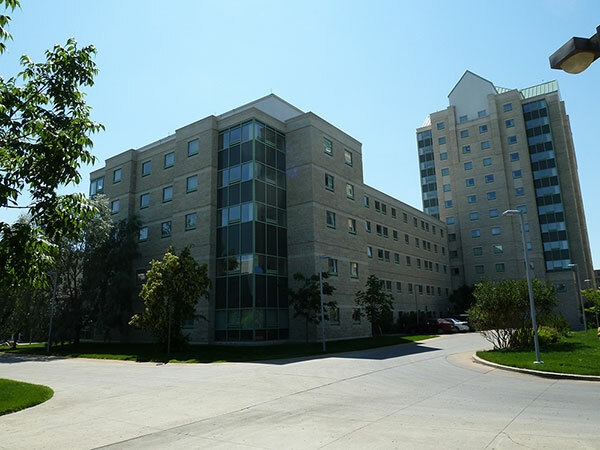 The Health Sciences ‘E Wing’ expansion project involved creating an expansion to the University of Saskatchewan’s Health Sciences building and tying into existing structures and facilities. The overall construction cost was approximately $84 Million over a new 270,000 square foot facility. 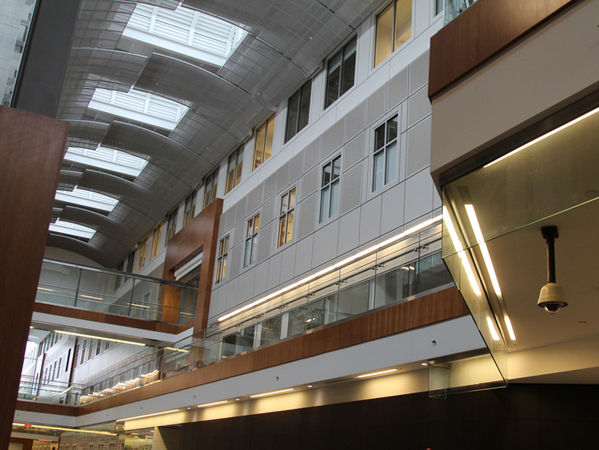 The Health Sciences ‘E Wing’ incorporates office, lecture, lab, medical, commercial, library, and common meeting spaces. This building also includes a monitored underground parkade facility. The design for this facility had many coordination requirements due to its location. The space around the University of Saskatchewan is very limited so locating a building of this size around the existing buildings was a challenge. 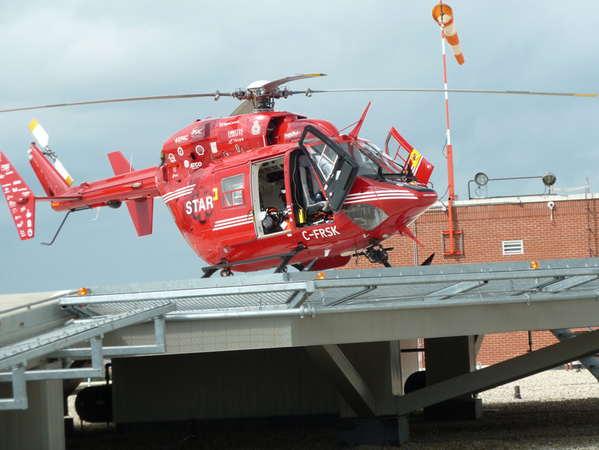 In addition, the building attaches to the existing Health Sciences building, the dental building, and the Royal University Hospital, so we had many user groups involved with the location and connection of the building. Furthermore, the new E Wing had to be fully integrated with existing buildings. Systems such as fire alarm and communication had to be unified across buildings. 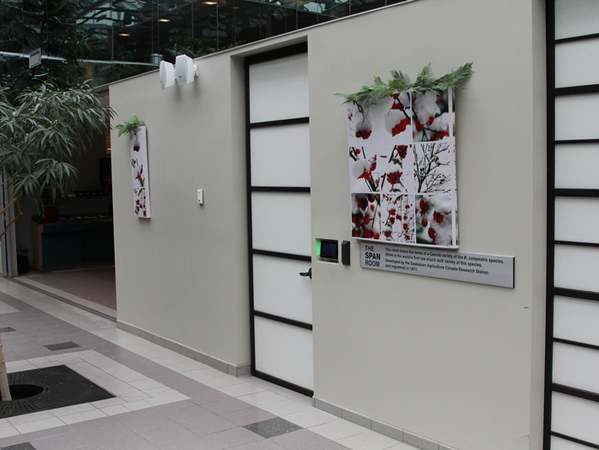 The building was designed with the intentions of meeting LEED® Gold; as such we incorporated many electrical control options to limit the energy requirements of the building. 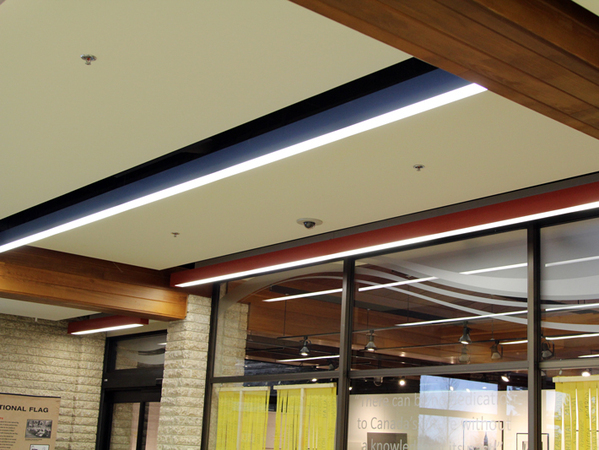 Energy savings options included the use of T5 light fixtures, daylight sensors, and occupancy sensor control. The occupancy sensors also connected to the mechanical system to reduce power consumptions to unoccupied areas. The building incorporated many Audio/Visual components. 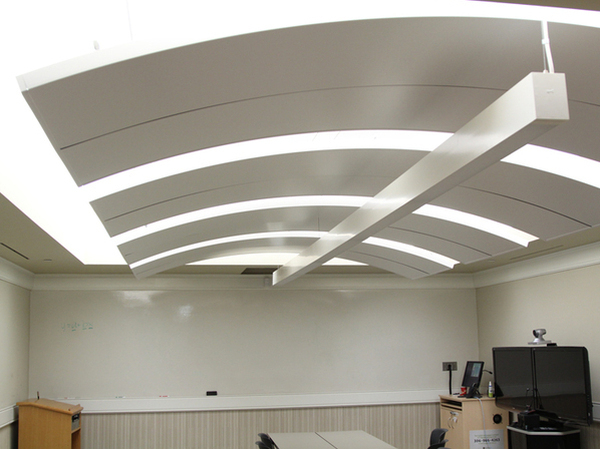 E Wing contained a variety of rooms, including lecture theatres, board rooms, mock doctor’s offices, video enhanced meeting rooms and small group meeting rooms. 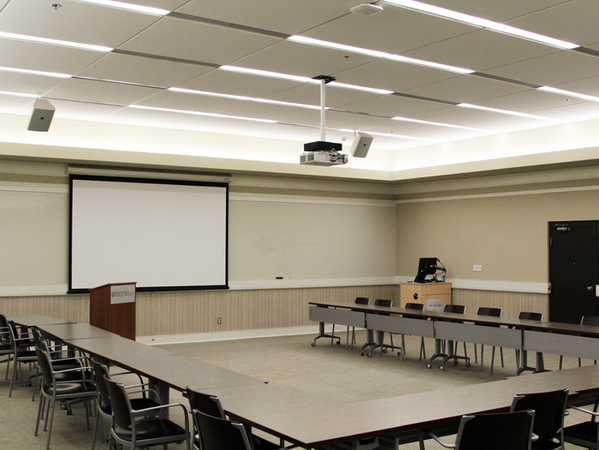 Each room had various audio/visual requirements from video conferencing to podium integrated projectors, audio and lighting controls. 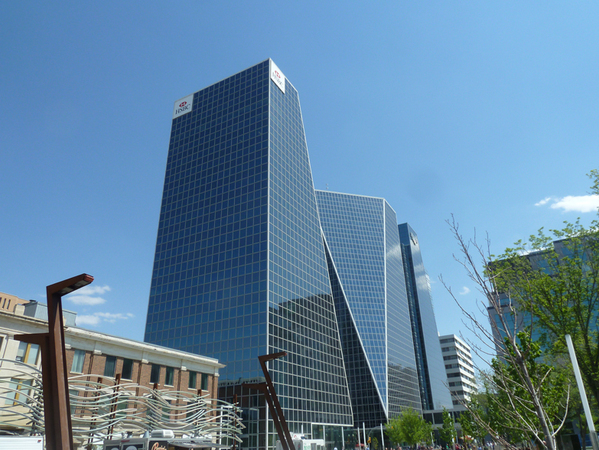 Mosaic Tower at Hill Centre III is a 20-storey, 240,000 square foot office tower located in downtown Regina. The building features Class A tenant spaces, conference centre, fitness facility, rooftop patio, public art gallery in the main floor lobby, two levels of underground parking, and main floor restaurant. 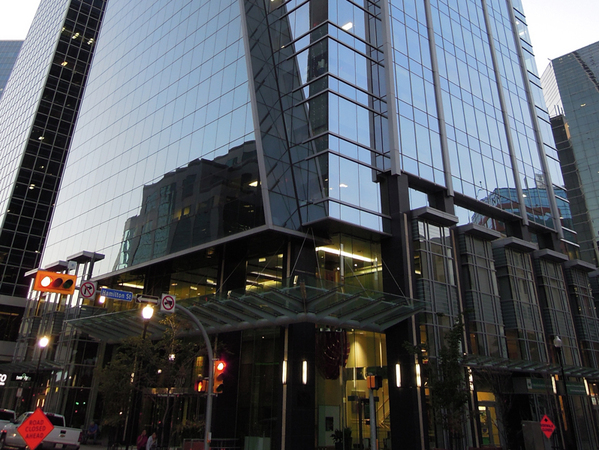 Mosaic Tower at Hill Centre III is a 20-storey, 240,000 square foot office tower located in downtown Regina. 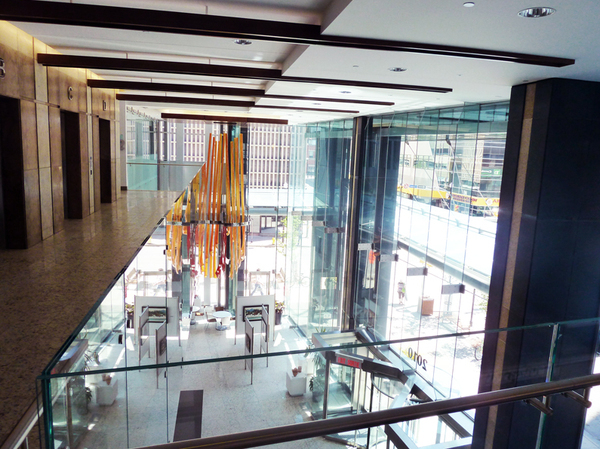 The building features Class A tenant spaces, conference centre, fitness facility, rooftop patio, public art gallery in the main floor lobby, two levels of underground parking, and main floor restaurant. The building has been designed to achieve LEED Gold certification. 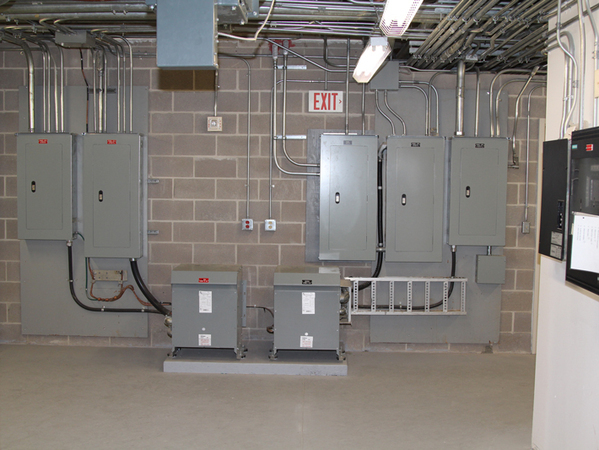 The building was provided with all major electrical systems for a high rise building including efficient office lighting, lighting control system, electrical power distribution, access control system, fire alarm system for high buildings, video surveillance system, and security integration into the compass destination dispatch elevator control system. Along with the base office tower design, we were also involved with all fit-ups of the tenant spaces which includes Mosaic Potash Head Office, Agriculture Agri-Food Canada, Ministry of Central Services Advanced Education, and 20Ten City Eatery. 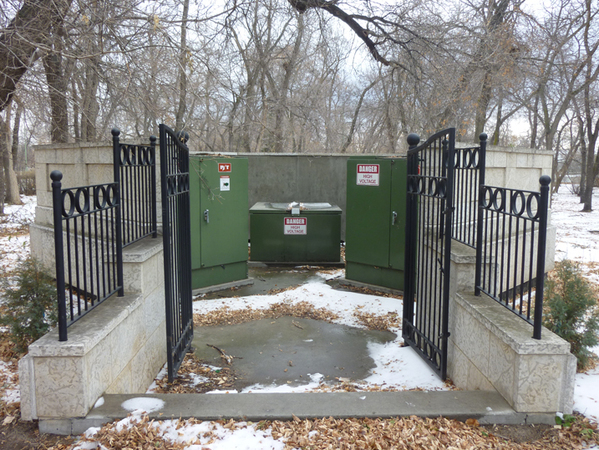 With this being a major development in downtown Regina, we were heavily involved in site coordination with SaskPower, SaskTel, and other service providers to facilitate the incoming utilities and minimize the impact to the surrounding buildings. Our firm has been involved with the design and construction of both the original Residence Building (I), and the 2014-2015 additional Residence Building (II). Both Residence Building (I) and (II) are phased projects with tight budget and schedule restraints. Our firm has been involved with the design and construction of both the original Residence Building (I), and the 2014-2015 additional Residence Building (II). Both Residence Building (I) and (II) are phased projects with tight budget and schedule restraints. Both facilities are required to house over 600 beds and Residence Building (II) is slated for completion prior to the 2015 school year. These buildings combined residential use buildings and high-rise building code and electrical code requirements. ​Named after Canada’s 13th Prime Minister John G. Diefenbaker the Diefenbaker Canada Centre (DCC) mandate is to build on his legacy by celebrating citizenship, leadership, human rights and Canada’s role in the international community. 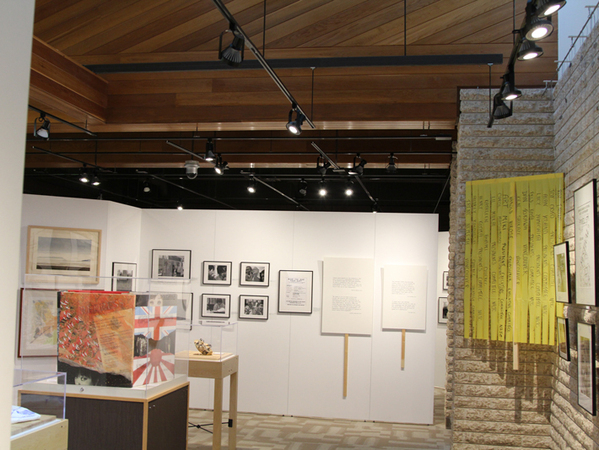 Named after Canada’s 13th Prime Minister John G. Diefenbaker the Diefenbaker Canada Centre (DCC) mandate is to build on his legacy by celebrating citizenship, leadership, human rights and Canada’s role in the international community. 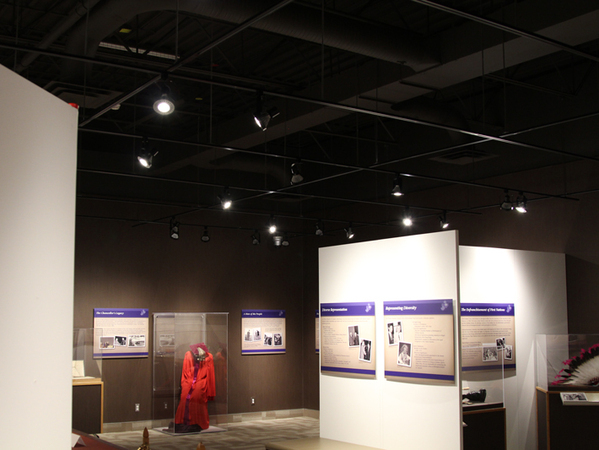 In addition to preserving and interpreting the core collection of personal artifacts bequeath by Mr. Diefenbaker to the University of Saskatchewan, the DCC proudly hosts exhibits that interpret the Canadian experience, with a particular emphasis on the culture and heritage of the nation’s many peoples. Ritenburg and Associates Ltd. is proud to have been included in a major renovation of this Prime Ministerial Museum in 2011. At a cost of 2.25 million dollars the project involved a complete upgrade of the museum’s display lighting as well as upgrades to a meeting room, a large lecture hall, a new gift shop and main lobby area as well as other supporting facilities. Ritenburg and Associates Ltd. have a long history of providing the design of health care facilities including long term care, in both new construction and renovations of existing facilities throughout Saskatchewan. Ritenburg and Associates Ltd. have a long history of providing the design of health care facilities including long term care, in both new construction and renovations of existing facilities throughout Saskatchewan. 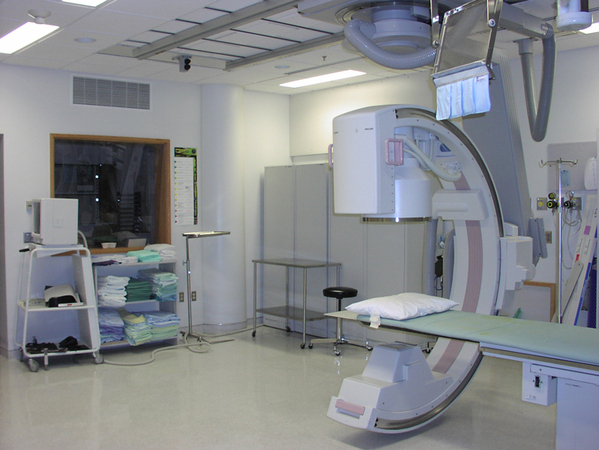 Recent major projects include Regina General Hospital Linear Accelerator Addition, Regina General Hospital Electrical Infrastructure Upgrades, Wascana Rehab Centre UPS Project, Regina General Hospital Helipad, Regina Pasqua Hospital MRI Addition, and the new Regina General Hospital Pediatrics Unit. These designs incorporate special design considerations for healthcare facilities such as vital and non-vital emergency power systems, patient care grounding practices, nurse call communication, infant protection, medical emergency alarm systems, patient and resident elopement, and access control and video surveillance systems. Innovation Place was a project that highlighted energy efficient design. 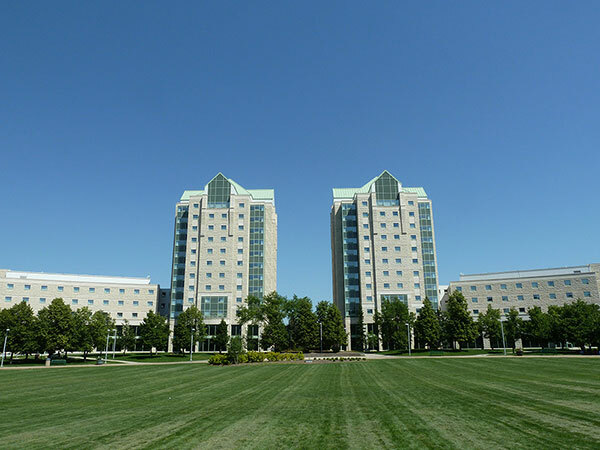 This project completed construction in 2008 and achieved LEED® Gold status for Green buildings. The overall electrical construction, for the base building, was approximately $2.5 million dollars and 150,000 square feet over five stories. This project presented some interesting challenges at the time of design. In coordination with the building owner, an aggressive energy budget for lighting was established. 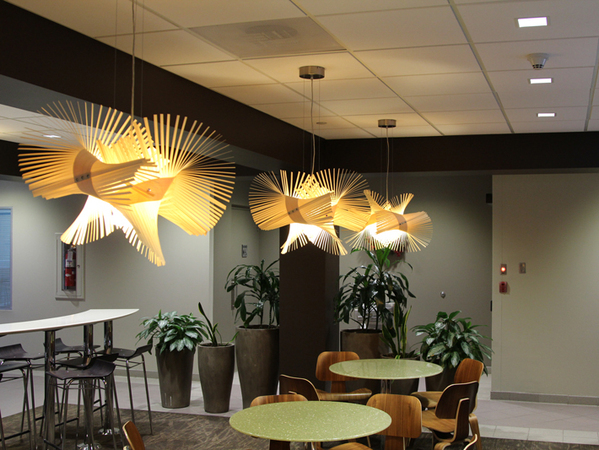 In many areas, the lighting design was configured to ensure that lighting was automatically controlled and de-energized when not required. 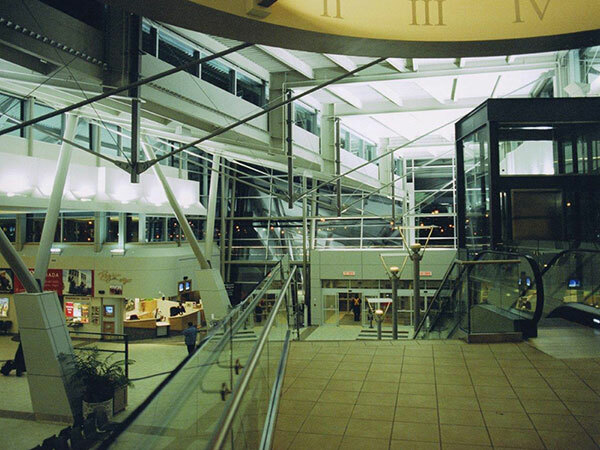 This project involved the development and integration of a major addition totaling 72,312 square foot to the existing air terminal facility. We also completed renovations to nearly half of the 146,500 square foot existing facility. It involved a multitude of internal and external user group meetings to not only determine the requirements of the new terminal, but how we could perform the renovations and addition while keeping the existing facility in full operation. 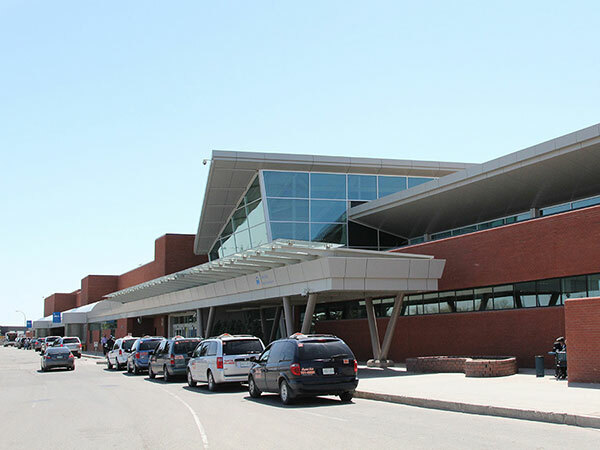 This project involved the development and integration of a major addition totaling 72,312 square foot to the existing air terminal facility. We also completed renovations to nearly half of the 146,500 square foot existing facility. It involved a multitude of internal and external user group meetings to not only determine the requirements of the new terminal, but how we could perform the renovations and addition while keeping the existing facility in full operation. Our scope of services ranged from pre-design to detailed design to construction and commissioning. We worked on every major system such as electrical power main service and distribution, top level security, lighting and lighting control systems, airport apron lighting, aircraft and ground power units, life safety systems, data and communication systems, flight and baggage information display system, and public address and paging systems. The project also included new and renovated vendors within the airport, including car rental kiosks, baggage check-in counters for multiple airlines, food and beverage vendors. 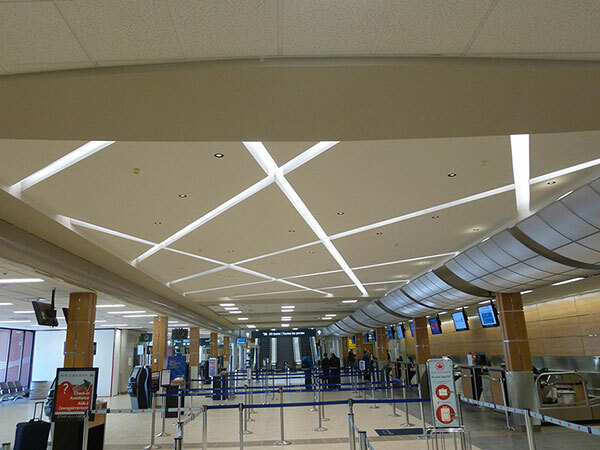 Included coordinating and designing area requirements, and connections to equipment for the Canadian Air Transport Security Authority (CATSA), and Canada Border Service Agency (CBSA) within the airport. 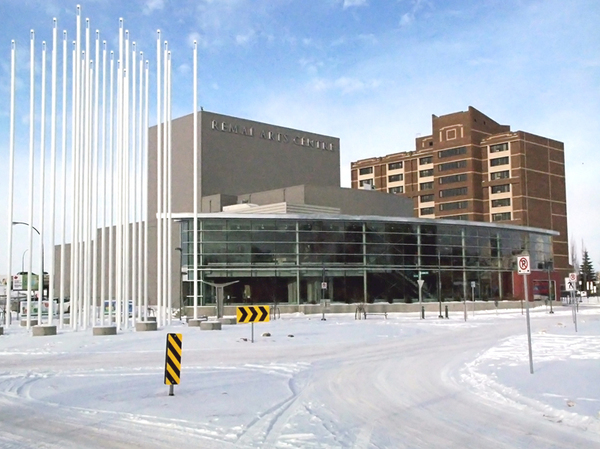 The Remai Arts Centre, completed in 2007 at a cost of 11 million dollars, is a beautiful glass front building in the heart of downtown Saskatoon. It holds both a 450 seat mainstage theatre and a 100 seat flexible second stage theatre with many other supporting facilities and workshops. The electrical design for this facility involved coordinating with a specialized theatre consultant as well as various other architects, engineers, civic authorities, private donors and user groups. This facility replaced the existing and aged Provincial Laboratory facility in Regina. 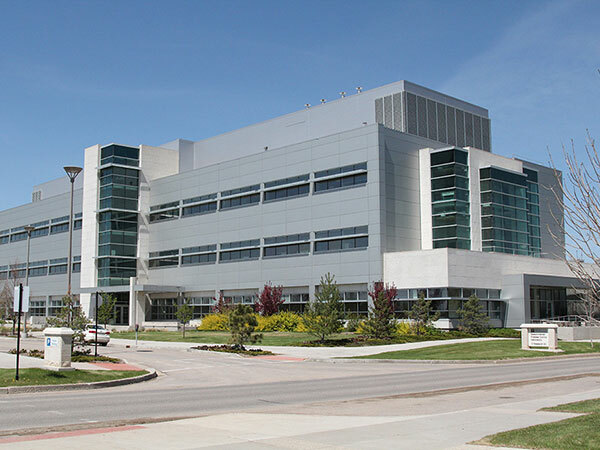 The new laboratory is a unique facility having both Containment Level 2 and 3 laboratories to serve the province. This project took place over five years from conceptual development to final construction. 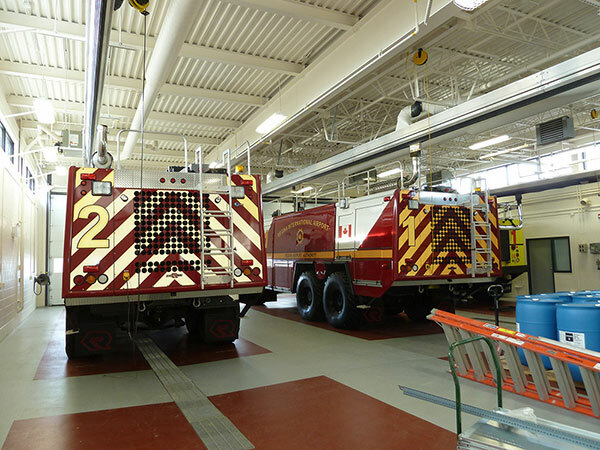 This facility replaced the existing and aged Provincial Laboratory facility in Regina. The new laboratory is a unique facility having both Containment Level 2 and 3 laboratories to serve the province. This project took place over five years from conceptual development to final construction. Each stage of its development required numerous user group meetings to ensure that the new facility did not repeat any short comings that the existing facility had as well as to ensure that the latest technology was used where possible within the laboratory spaces. 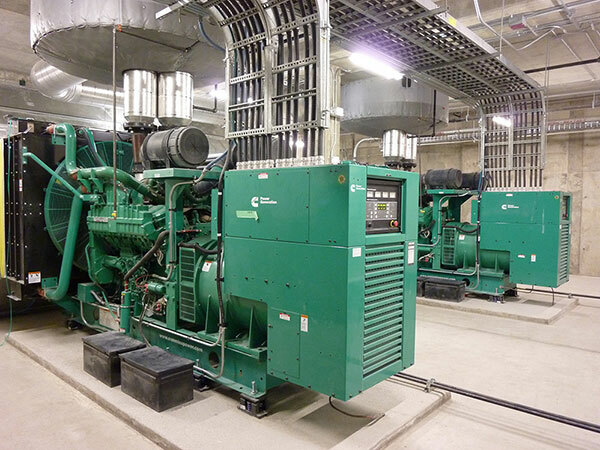 The project also required a significant standby power system with two 1,000 kW generators and a 300 kW uninterruptible power system ensuring that the facilities critical loads maintained operation during a utility power failure. 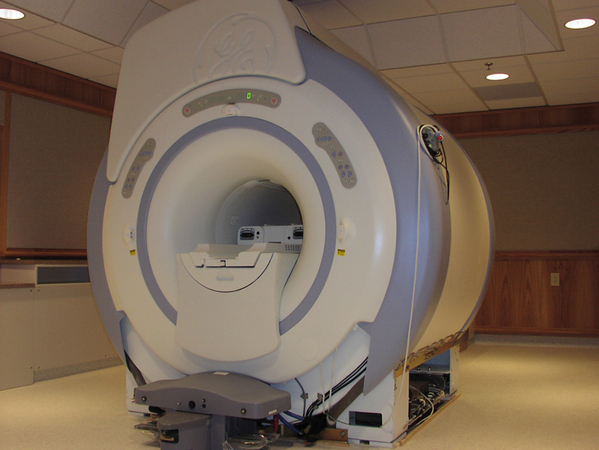 This facility is currently undergoing the certification process for LEED® Silver. 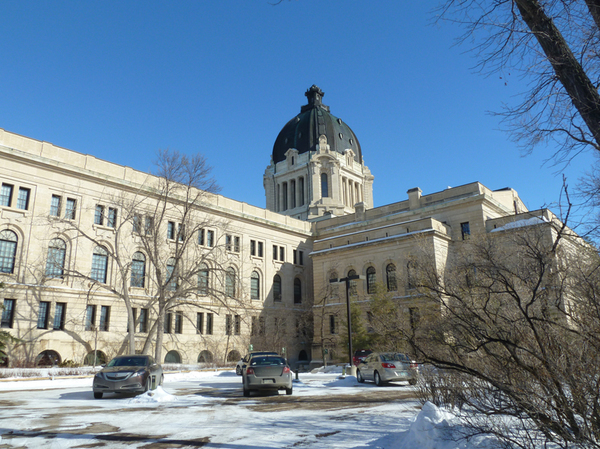 The Legislative Building Rehabilitation is an extensive project that is being completed in several phases over several years. The Legislative Building Rehabilitation is an extensive project that is being completed in several phases over several years. 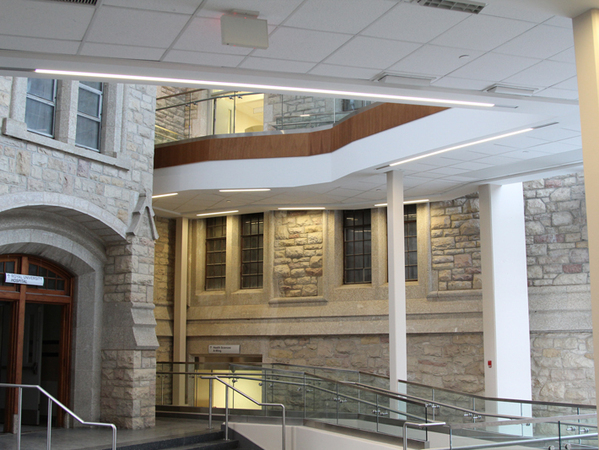 Some of these projects have included Structural Rehabilitation, Life Safety Upgrade, Prince of Wales Entrance and Cumberland Gallery renovation, Legislative Gallery Lighting Upgrade, Price Edward Meeting Room renovation, and Dome Rehabilitation. The most recent project involving the Dome Rehabilitation is scheduled to complete spring of 2016. This project involved extensive coordination of electrical installations with features of historical buildings. All electrical materials, installation methods, and design considerations were carefully chosen in order to preserve the building’s heritage. © 2019 Ritenburg & Associates Ltd.